Decisions, decisions, decisions. The holiday season is upon us and 'tis the season of joy and happiness. But it could also be one of the most stressful events each year because them presents won't buy themselves, will they? That's why we decided to pitch in and hopefully make some of those decisions easier for you. 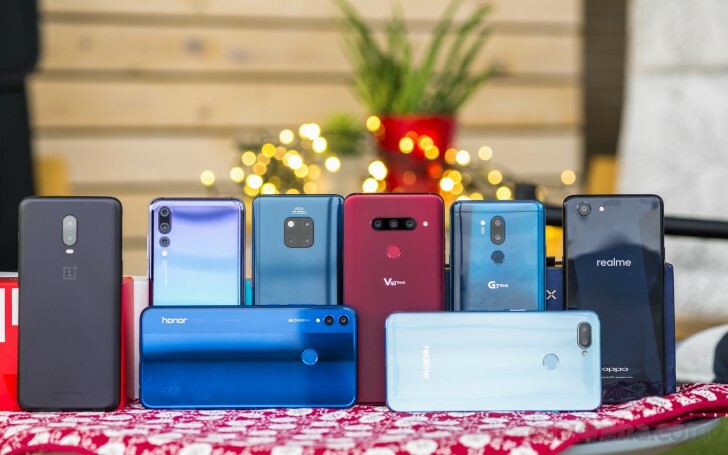 This 2018 was a fruitful year when it comes to smartphones and there were times when we raced against time to bring those on-time reviews for you. Because we know how important this information for the early adopters is, those who preorder and get some extra goodies, but also risks that come with the territory. And now we are ready to give you that cheat sheet you need for this smartphone shopping season. We boiled a whole year of work down to a few pages for you. We also have a short video version with just our favorite picks in each category. Unlike the video guide where we divided the phones into price brackets, for the text version which follows, we decided to try something different. We'll focus on one feature on each page and list the best phones in this category prices low to high. This way you can easily jump on photography or gaming and see what the best phones at each of those categories are. Why is Mate 20 Pro not in the "Camera Phone" department? Please add a section on basis of "Audio Quality".